Tree surgeons, or arborists, help in the surgical removal of trees from property. As trained tree surgeons, they’re required to remove trees with professional care and using licensed resources to do so. Professional arborists are able to perform such tasks without the risk of damaging other surrounding trees or the land around the tree being removed. For larger trees, tree removal may include larger tools that require cutting the trees base and grinding its stump, or trimming its branches to make cutting easier with less of a mess. When a tree needs to be removed, you should never attempt to do so yourself. Operating tree removal tools as an amateur and without proper training can lead to potential injury to both yourself and surrounding areas. These types of tasks are best left to professionals that are equipped with the proper tools and resources to remove the trees. 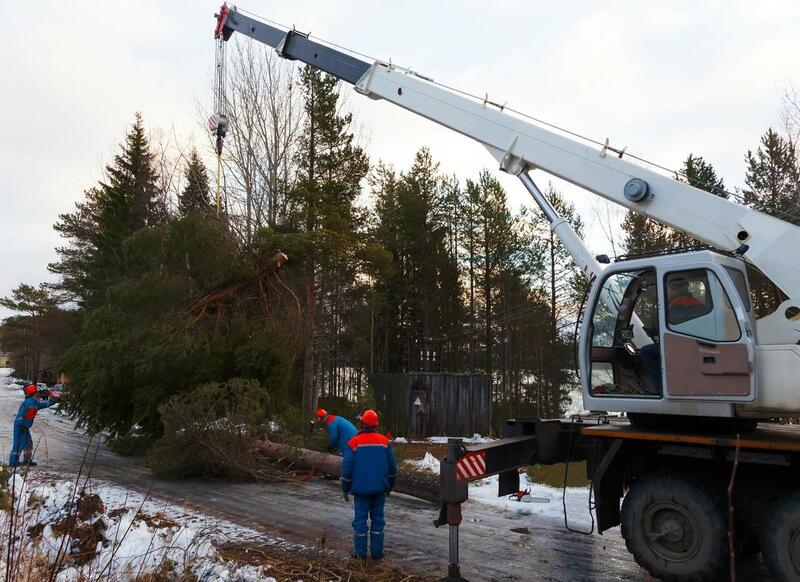 Our tree removal professionals are able to safely remove your trees without causing any injury. we arrive on site with the tools and machinery to safely remove the tree in no time. Not only are we able to safely remove trees, but we do so with our expertise and experience in the field. We’ve mastered the art of tree removal and have gained the knowledge of doing so through our many years of training, trial and error, and overall dedication to providing quality tree removal services. We’ve established what tools and methods work opposed to others and have incorporated this into each of our tree removal projects. Our experience spans over several years of successful tree removals. Along with our skilled experience, we bring professionalism into every project we’re hired in to complete. Our professionalism is unbeatable and clients have continually complimented the way we handle our business and conduct our work. Through this positive feedback, we’re able to consistently keep up our professionalism and friendly service in the work we do. When you hire us to remove a tree, you can trust that it’ll be done according the finest standard of care, quality, and overall professionalism. Trees can come in a variety of shapes and sizes and we always take this into consideration when preparing to remove tree. Often trees that are tilted, large, or have numerous branches can be trickier to remove, but simply require more strategy to do so. Smaller trees or those that have begun rotting are often easier to remove as they have already partially deteriorated or cut can be through quickly. Despite the variations in trees, we’re experienced to remove any kind you have. When we attempt to remove trees, we make sure that taller ones that extend to your roof or electrical lines do not interfere with the infrastructure of your home or the electrical wiring. While there is likely to be some debris from the removal process, we do our best to keep it to a minimum and clean up as much as possible afterwards.